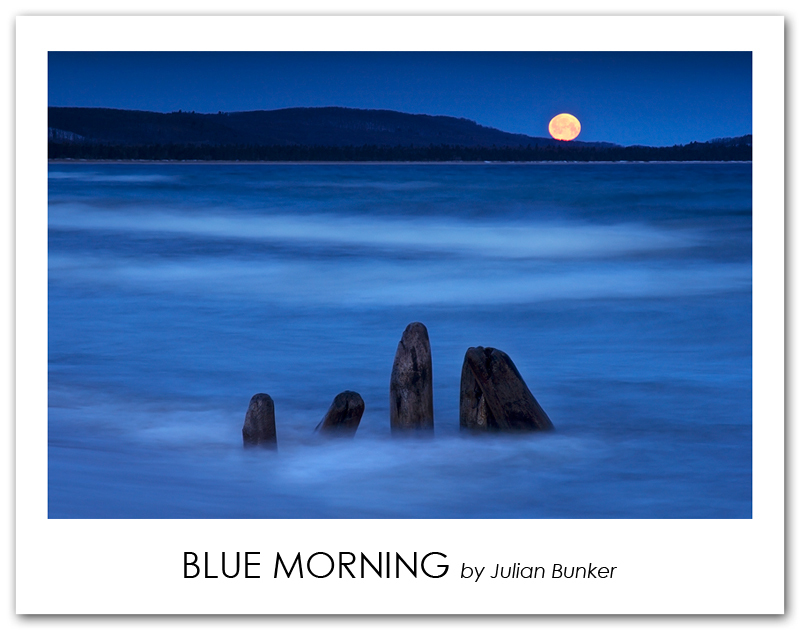 An awe-inspiring scene unfolded quickly as the Full Moon of March 27th set on the horizon at seven A.M. The landscape basked in the deep blue hues of morning twilight, the sun was due to rise at 7:30 A.M. I hope everyone enjoys this photograph and can step into it to share the sense of calm this scene brought Robin and I. Technical Details - Canon 60D, Canon 24-105L (@105mm), 2-stop reverse graduated neutral density filter, ISO 200, F/11, 2 Second Exposure.